Spartan Netherlands Obstacle Course Races | We Are Spartan! The World’s Best Obstacle Race! Spartan Race is the world’s best obstacle race and is accessible to all levels of fitness. The first of its kind to feature chip timing and global rankings, Spartan Race provides a proving ground for obstacle racers looking to test themselves in new ways across the world. With more than 200 races in more than 30 countries Spartan Race has more than 1 million participants across the world. In three categories of competition, also known as heats, participants are able to compete with each other. The open heat is for all levels of fitness. The competitive heat is for participants who want to compete in age categories. And the elite heat is for those who want to race against the best obstacle racers in the world. Challenge yourself by finishinh a Sprint, Super and Beast in the same calendar year and earn the coveted Spartan Trifecta medal. 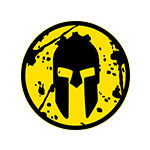 Spartan Agoge: sign up and find out! For the little Spartans we have designed the Spartan Kids race. Our courses are riddled with signature Spartan obstacles and include mud, barbed wire, walls, rope and fire.